It’s never too early to start preparing for end of financial year. What can you do now that will help with the end of financial year process? Failing to keep your accounts up to date, or to be across all financial aspects of your business can be a downfall for many business owners. You may have staff or contractors who look after your accounts, but it’s important for you as the business owner to be familiar with all aspects of your business’ financial position. I’ve seen it many times where I’ve taken over the accounts for a client only to tell them that their superannuation is behind, or their BAS not lodged, or their debtors are through the roof. Firstly, get things up to date, and then keep the lines of communication open between you and whoever is doing your bookkeeping to ensure that everything is where it’s supposed to be. If your accounts aren’t up to date, put systems in place so that they are kept up to date on a regular basis – data entered, accounts reconciled, reports reviewed. This may seem obvious but there are many business owners who are just so busy filling customer orders and keeping the doors open, they forget about the accounts or think that they’ll get to them in their spare time – of which there is none! Review what customers owe to you. Is there anything that is not going to be recoverable and therefore should be written off as a bad debt? Are there invoices that may be recoverable and you should be contacting your customers to put payment plans in place? Are there credits outstanding that should be applied to customer accounts or refunded? Review what you owe your suppliers. Are there invoices here that have been paid with cash but haven’t come off the ledger? Are there credits outstanding that haven’t been applied to invoices or refunds received? Are there large invoices outstanding where you should be speaking with your suppliers to put payment plans in place? Make sure your debtors and creditors ledgers matche the Balance Sheet. Sometimes your Balance Sheet will say one figure and your ledger will say another. Make sure there is no ‘out of balance’ figure by the end of the financial year. Often this is a date issue – an invoice issued in February was paid in January, which will throw your January ledger out by that amount. Or it could be that something has been coded directly to the debtors or creditors account, which will throw out the ledger. Investigate and correct these anomalies. Clear out any little short payments or credits on the account. For example, your customer may have short paid you three cents which is still showing as outstanding. No point chasing three cents, so credit the remainder to remove from the ledger. Ensure what you have in your petty cash tins, floats and tills is what’s showing on the Balance Sheet. 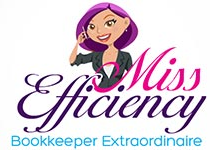 Where cash is concerned, it’s very easy for these to go out of balance and you must be diligent! Cash should be reconciled daily, weekly, monthly (depending on your business) so any discrepancies can be picked up quickly. If you haven’t already had a meeting with your accountant this year, now is the time to do so. 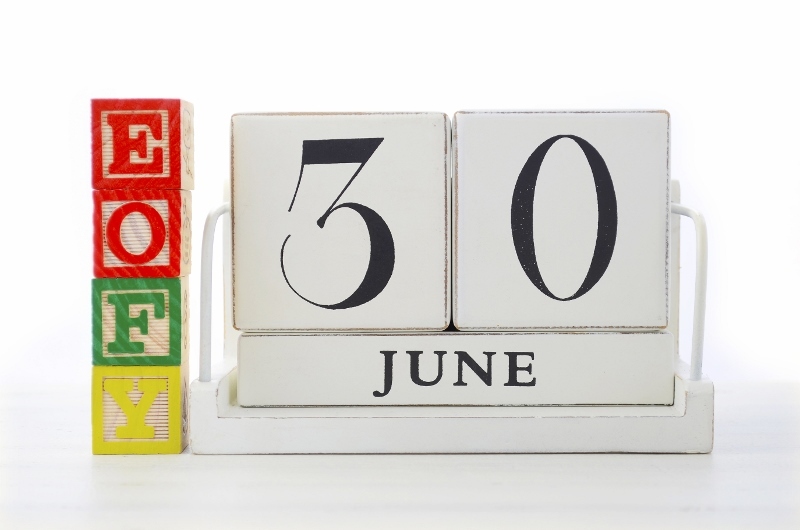 They can review your interim accounts and give you advice on what you should do between now and 30 June to put your business in the best possible position. Seeing your accountant in July or August – it’s too late to get back on track as the year is over! It’s best to see them during the current financial year to ensure you’re where you thought you were heading, and put you back on track if not. Depending on your business, stocktakes can be done weekly, monthly, quarterly or annually. Review your stocktake procedures. Do you need to do stocktake more regularly? Is your business seasonally busy in July and the stocktake is a mammoth task that you just don’t have time for? Maybe a more regular stocktake will make the end of year stocktake a little easier for you. A more regular stocktake can help you to find stock errors and ensure accuracy, and it can highlight missing stock more quickly than if you were only doing an annual stocktake. It can also allow you to see any operational problems quickly, and deal with them before they turn into major issues. A more regular stocktake also means that staff are more familiar with the process, and less likely to make mistakes. Most payroll systems will ‘accrue’ your superannuation liabilities at the time you prepare your payroll. So on the payslip it will show the superannuation due for that period. This doesn’t mean it’s been paid (as some employees are mistaken into believing), and your payroll system will put this onto the Balance Sheet as a liability that needs to be paid. As a bookkeeper, I’ve seen it many times where superannuation payments get behind, or part payments are made. This makes what is owing to each employee difficult to keep track of. Another way is to clear your superannuation liability from your Balance Sheet each month or quarter, and enter a purchase to the superannuation fund (clearing back to the superannuation liability account). This means that every time you review your Aged Payables report you’ll see that you owe money to the superannuation fund, and it won’t get forgotten about. And if you do make part payments, they’re easier to track also. (This can be a little technical for some, so I’m happy to help you with this if required). Exactly the same process applies for your liabilities to the ATO. Each taxable transaction you make is putting money to the Balance Sheet for GST. When your BAS is prepared, create a purchase to the ATO and reconcile your control accounts. This will also pick up any discrepancies between the ledger and the BAS reports if you haven’t already picked them up. Go through your payroll system to ensure you have all required and current information for your employees. Particularly address, DOB, TFN. Your payroll information should be up to date anyway, but you’ll particularly need it for the preparation of your PAYG Payment Summaries. This is a great time to review your HR process and ensure all documentation is complete and up to date, and systems in place – TFN Declaration, Fair Work Information Statement, Super Choice form, employment contract and letter of offer, performance reviews, training register, licence register, hazard and incident register, etc. Do you have adequate and relevant insurance in place to protect against all risks which may affect your business? Could you be saving money by shopping around or asking for a better deal? What risk management procedures do you have in place? Review your business and financial performance this year, and start planning for next year. Develop realistic forecasts for the new financial year, and set business goals for the coming 1, 5, 10 years – to reviewed each year. The end of financial year can have automatic stressful connotations for many business owners. It doesn’t have to be that way! It’s not all about reports and figures – although they’re important! It’s the perfect time to review your business position, systems and business plans, ready for a successful year ahead.